Nursing is a good choice if you’re looking to enter a profession where there’s much demand. The Bureau of Labor Statistics has projected a 19 percent growth for the profession between 2014 and 2024. While the statistics may seem promising to nurse hopefuls, the reality is that the market favors highly experienced and educated nurses. Employer trends in the hiring of nurses educated at the bachelor’s degree or higher became pronounced after the Institute of Medicine published The Future of Nursing report in 2010. Although there’s an overall deficit of nurses, graduates of the associate degree in nursing program do have a difficult time finding work as employers hold out for the better-educated candidates. It is not uncommon for associate degree nurses to wait six to twelve months to secure employment in a hospital or other setting. Employers want experienced nurses to replace their retiring staff members, but due to the current shortage in experienced nurses, they look to graduates of the bachelor degree in nursing program (BSN) who are trained in the areas of communication, leadership, public health, information technology, and economics. Graduates of the BSN program have a greater chance of filling the vacancies within acute care, leaving nurses prepared at the associate degree to fill the vacancies in the wide-open market of long-term care. BSN-prepared nurses are more likely to earn more and enjoy greater job satisfaction than the lesser prepared associate degree nurses. Rapid medical advances, complex medical technologies, and new standards in care demand better-educated nurses in all specialties. Technology’s effect is two-fold. While nurses must use it in care, the population can also access it to research health conditions and demand the best care from nurses and doctors. With a wider understanding of the health policy, quality improvement, and community and public health, BSN nurses are positioned to improve patient outcomes and safety. The issue of nursing faculty could be resolved as more entry-level nurses obtain the BSN. The degree paves the way for nurses to continue their education to the master’s or doctorate degree and fill positions in education. One of the solutions to overcoming the shortage of nurses in the sector is to educate more nurses. However, nursing schools often do not have the capacity or the faculty to accept more students. Until the sector can attract more qualified faculty, the nursing shortage will continue. Research has proven the link between higher education and the better patient outcomes. Due to the findings, Magnet status hospitals are hiring more BSNs to improve the quality of care. Those who hire associate degree nurses are encouraging and even reimbursing their nursing staff to go back to school. With higher education, nurses are prepared to meet the increasing complexity of healthcare and navigate the challenges within the systems using a holistic approach to care. Patient safety also goes up when BSN nurses use their leadership, critical thinking, and professionalism in practice. While employers and nursing associations see the benefits of the BSN degree, there has been some opposition to implementing the BSN as the standard for entry-level practice. The duration of the BSN program, four years, will increase the burden of the nursing shortage as it produces graduates at a much slower rate than the associate degree in nursing program. The affordability of the ADN program not only attracts more potential candidates to nursing but also places more candidates in the field who are able to provide safe and competent though not at the level of a BSN graduate. Though both BSN and ADN candidates must pass the same NCELX exam, the BSN graduate has the advantage in the job market and stands a better chance of landing a job out of school. Licensed practical nurses, registered nurses and newcomers to the profession can enroll in the BSN degree through the various options outlined below. LPN to BSN: The LPN to BSN program assists Licensed Practical Nurses with BSN Program completion. The college or university will work with candidates to develop a customized curriculum plan based on prior education and experience. Applicants will need to provide proof of current licensure as an LPN and will be awarded credit hours based on this and other specific criteria. The program will require three years of dedicated study to complete and will involve general studies and core nursing courses that focus on the practice and concepts in nursing. Beyond the attainment of the degree, students will be prepared to take the NCLEX-RN to practice as a registered nurse. RN to BSN: Building on initial preparation in the ADN or diploma in nursing program, the RN to BSN degree prepares students for a broader scope of practice. Students develop a holistic approach to nursing and understand the economic, cultural, and social issues that impact patients and shape nursing care. The curriculum focuses on evidence based practice, finance, diversity in healthcare, community and family practice, technology and informatics, economics and finance, and other topics not covered in the ADN program. Offered in an online format, it gives the registered nurse the opportunity to complete the BSN in a convenient and timely manner. RNs will receive credit for previous nursing courses taken in the ADN or diploma program. Traditional BSN: The traditional BSN prepares students to meet the challenges of today’s health care. Through classroom, laboratory and supervised clinical experiences, students will develop a solid foundation in nursing and learn how to apply the latest nursing research in clinical practice. This intensive, all-inclusive curriculum gives BSN graduates an edge over graduates of the ADN program, and they’re likely to secure employment in acute care settings. The BSN program covers general education, science, and core nursing courses that may be completed in four years. Fast-track BSN: The fast-track BSN is an accelerated program that lets people who already have a bachelor’s degree complete the courses to become a registered nurse in 12 months. This type of program typically requires full-time attendance and employment is not advised during the intense training. Clinical sessions commence from the start and are synchronized with the classroom sessions. The curriculum will cover courses in pediatric, mental health, critical care, medical surgical, and community health nursing. All graduates (with the exception of RN-to-BSN graduates) must take the NCELX-RN to practice as a registered nurse in Kentucky. The Bachelor of Science in Nursing is designed to equip students with the critical thinking, leadership, and communication skills needed to practice in the complex health care environment. In addition to classroom lectures, students will participate in extensive clinical experiences in nursing homes, schools, hospital departments, and other health care settings to have a broader view of practice. 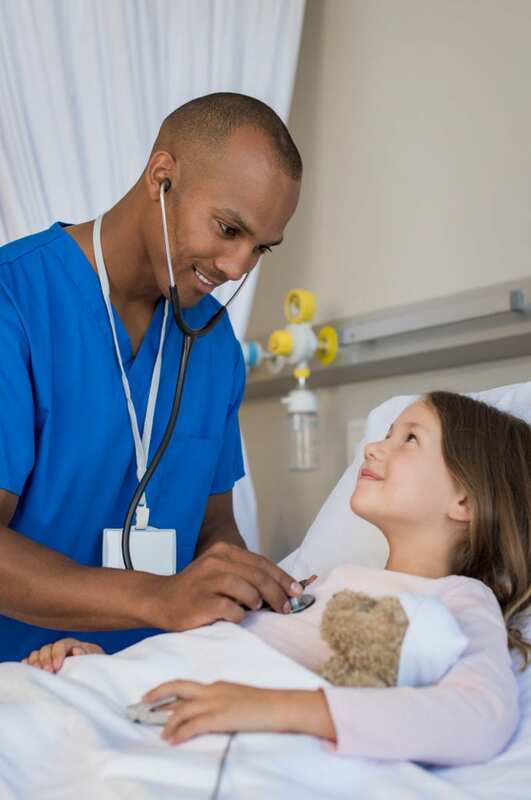 Graduates are eligible to take the NCLEX to obtain a license to practice as a registered nurse and function independently or in collaboration with other health care professionals to care for individuals and families. They will also recognize the value of and desire to continue their professional development and have a foundational preparation to continue graduate education in nursing. Graduates will also be able to demonstrate leadership skills to improve care and ensure patient safety, understand the influence of healthcare policy and finance in practice, implement evidence-based practice in the development of patient care plans, implement technology in the delivery of care, and function as a professional nurse by adhering to the moral, ethical and legal guidelines. Nurses who hold a BSN degree have the opportunity to practice in all areas of nursing and easily transition to graduate-level study. The following is the general requirements for entry. For specific requirements, check the school’s website. Be admitted to the school as a degree-seeking student. Complete the prerequisite course requirements with a minimum specified GPA. Pass the entrance exam or submit ACT scores. Submit official high school transcripts. Submit a completed application and fee. . Submit a personal statement and references. Participating in the clinical experience will require a criminal background check, drug screen, CPR certification, and documentation confirming the completion of health requirements. The Second Degree BSN is targeted to those who hold an undergraduate or graduate degree in another discipline and want to pursue a career in nursing. It gives professionals the opporutnity to pursue another career in an in-demand field and help others through compassionate care. The full-time program may be completed in 12 to 18 months, depending on the number of credits transferred in. In addition to the classroom sessions, students will undertake more than 600 hours of guided learning to increase their knowledge of interprofessional practice, bedside expertise, and nursing leadership. Graduates are eligible to take the NCLEX to practice as a registered nurse. The requirements for admission are similar to the traditional BSN. However, the application must have a bachelor’s degree from an accredited program and complete the prerequisite courses prior to commencing the core nursing courses. Clinical participate requires completion of a criminal background check, immunization, CPR certification, TB screen, and drug screen. How Much Do BSN Programs Cost? At a rate of $409 per credit, the traditional BSN program (120 credits) will cost approximately $49,080 to completion. Registered nurses enrolled in the RN-BSN program will pay approximately $13,340 to complete the core nursing courses (29 credits). Additional courses to complete the BSN may be required, depending on the student’s credits that are eligible for transfer. Apart from tuition, the student must budget for additional costs, such as textbooks, lab fees, proctoring fees, and nursing supplies. Check out the list of KBN approved BSN programs and NCLEX-RN pass rates in Kentucky.